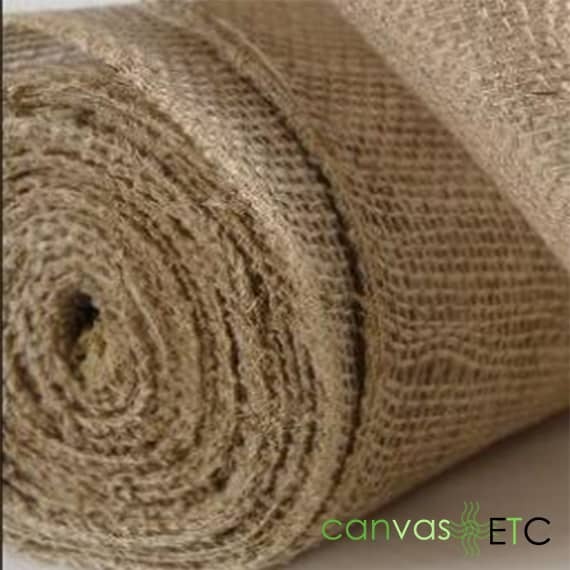 Burlap - How To Craft Window Treatments & Other Uses | Canvas ETC. Burlap is a course woven fabric made from Jute fibers, and that has an earthy natural look and feel thanks to the rough fiber composition. 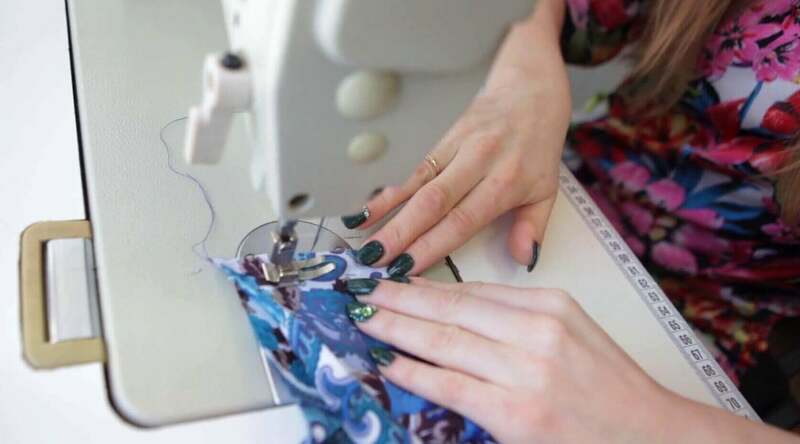 It has been used throughout time in so many different ways, such as: apparel, in shipping, storage, home decorations, sandbags for emergency situations, and in the production of bags, rugs and many other products. It is highly durable and its natural, neutral color ensures that it pairs well with any design style. Before the jute is harvested, the material is actually a white color; as the jute dries and is processed, however, it takes on a decidedly brown-colored hue that is how this material is typically known and recognized. When this this heavyweight, odorless and tightly-woven fabric is sanitized, the natural oils are eliminated, so it feels quite “dried out” to the touch. It drapes (falls) so nicely, and which is why it is perfect for creating a rustic chic decor at weddings, and for home decor accents like table runners, no-sew window treatments and coverings, and certainly in so many crafts. It has always been widely utilized in home decorating as it adds a nice texture and style to any room! 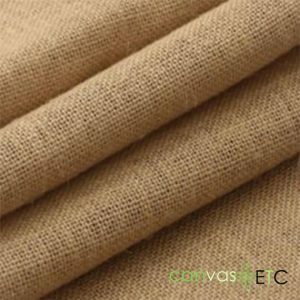 One of the primary functional qualities of burlap is that it is lightweight and very inexpensive, and is therefore used as a nice Do-It-Yourself window treatment. Add 6 inches or so to the cut length to factor in the addition of a pocket for the curtain rod and the hem at the bottom. Iron if needed to create the defined folds, and sew in place. Make a bottom hem first, and by folding one short edge of burlap up 3 inches. Shipping – coffee beans and other products that need to breathe and have air flow to prevent spoilage, like tobacco. This woven fabric provides such a distinctive and textured style when decorating! Many people have used this as an effective and impressive accent wall, as it adds a naturally rustic look to an otherwise blah wall. It can even be used as an effective wallpaper, and versus an expensive traditional wallpaper. The advantages of using this material as wallpaper, in fact, are that it is so easily removed if change is wanted than traditional wallpaper, and then you can actually reuse and re-purpose the material once taken down! As burlap possesses a very loose weave, you must and should consider its final use and location whenever you are working with burlap. For other material options, and in lieu of burlap, consider other fabric draping material or Cotton Duck Fabric – 10 ounce.